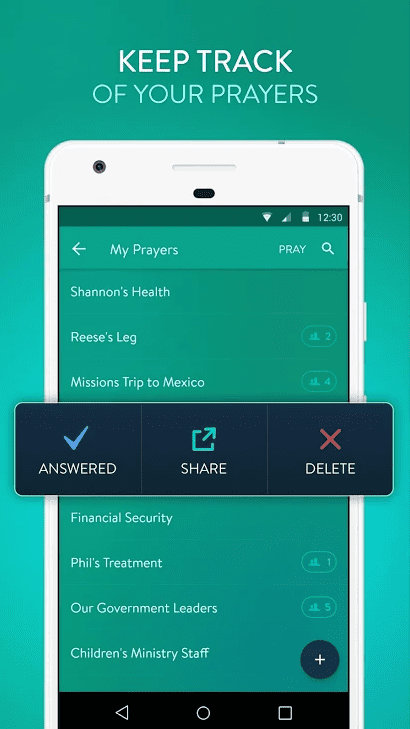 Echo Prayer is an application which will help you to pray. 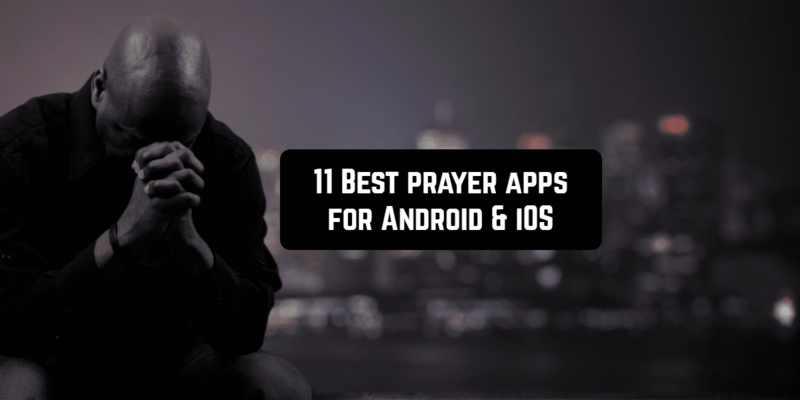 It often seems to us that it is difficult to reconcile life and prayer. This is a delusion, a complete mistake. Prayer is the companion of the soul of a Christian. Prayer is a time dedicated to God. This time should be every day and the Echo application will help you in it. 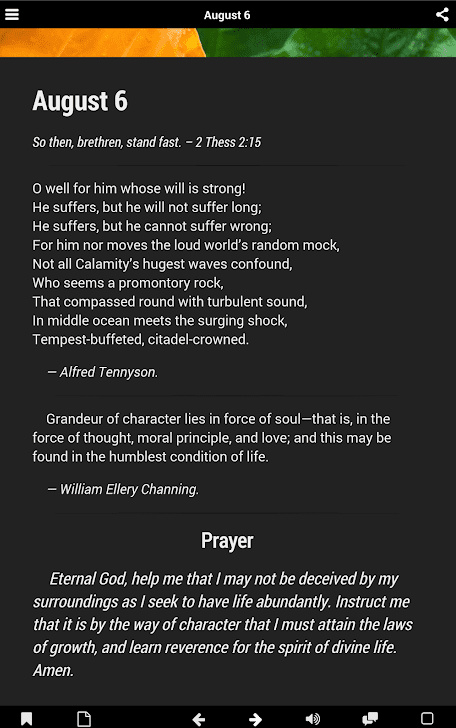 The meaning of prayer is immeasurably important for a Christian. 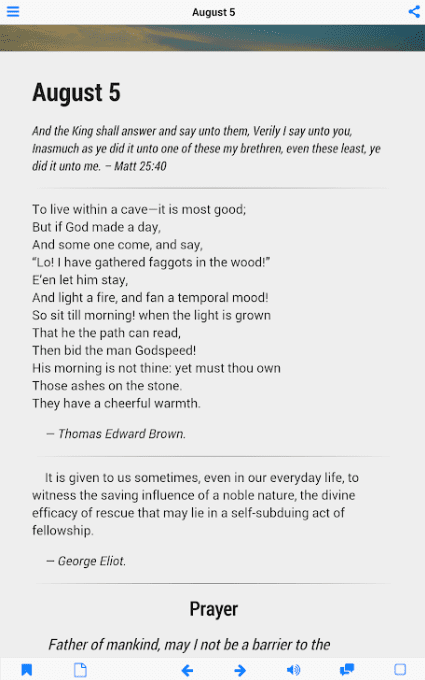 At the same time, prayer is both a method and means for all the achievements of a Christian. Therefore, prayer should be considered the most important of all affairs of the day. And ORA application will help you in it. We often underestimate the conversation with God, we don’t know about the extraordinary usefulness of it, about the fact that it is a remedy for all problems and it is even impossible to describe its uniqueness in words, that there is nothing stronger than it and even equal. You do not need to have anything, only desire and faith to speak with the Creator. This and the unique position of man. But prayer should not be mechanical, but must be attentive, diligent. 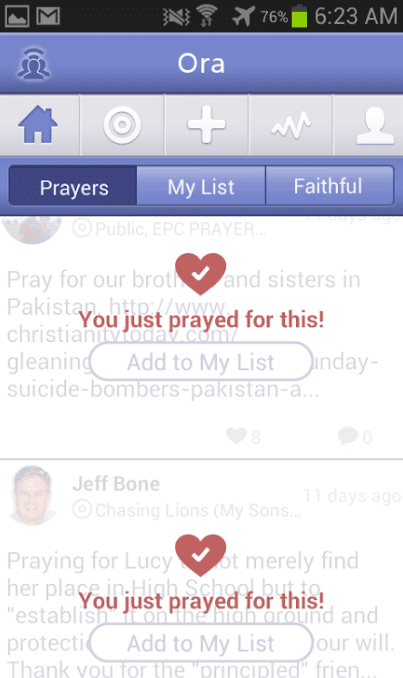 PrayerMate will be a perfect guide in organizing your prayer life. 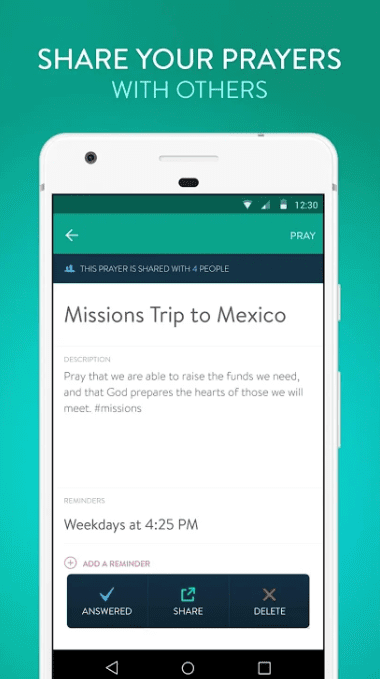 Prayer connects Christians from all over the world through prayers. Daily and sincere prayer in the life of a person is necessary in order to transform and refine your soul, to give spiritual strength and hardening in the struggle against difficulties, and to illuminate the soul with the Divine light of good. Prayer in a person’s life is also necessary in order to ask God for help in overcoming obstacles and to protect oneself from temptations. Prayer is also needed at a time when a person is trying to overcome by sinful thoughts and intentions. Prayer is necessary for a person in difficult moments of life, requiring a person to concentrate his mental, physical strength. Prayer is necessary for a person in the period of especially difficult life situations, for the correct solution of particularly important difficult questions. In such situations, the will is strengthened under the influence of prayer, the mind is cleared, the thoughts are cleared, patience and perseverance appear in order to adequately withstand serious life challenges. 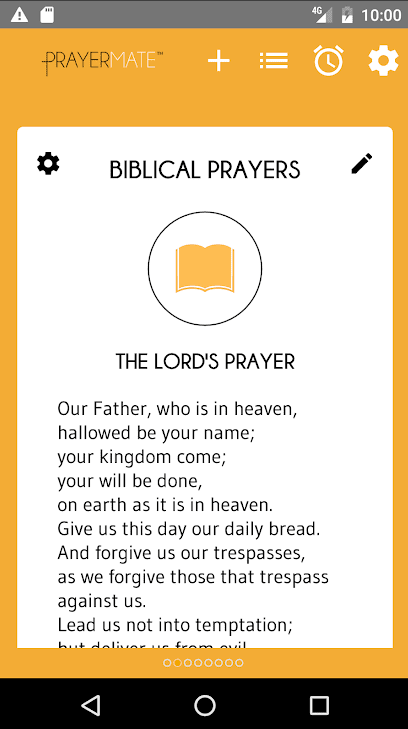 Prayer Prompter is one of such apps that keeps the focus on God and helps you to be faithful in prayer. 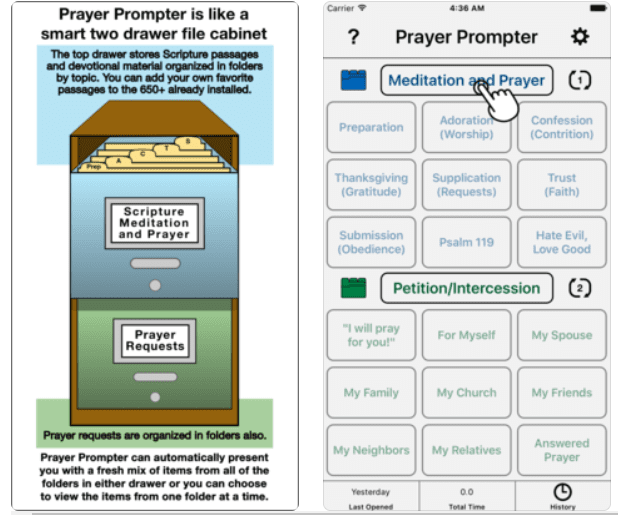 it has two sections: Meditation and Prayer (stores Scripture passages and devotional material) and Petition/Intersession (stores prayer requests and answers by category). Prayer is necessary in the life of a person in order to achieve not only spiritual development but also to improve the lives of other people around us. Therefore, prayer is not only a good deed but also a necessary action for the spiritual improvement of man, thanks to which evil is cast out of the soul and the light of Divine grace is lighted, life is improved and man becomes the creator of good in the world. 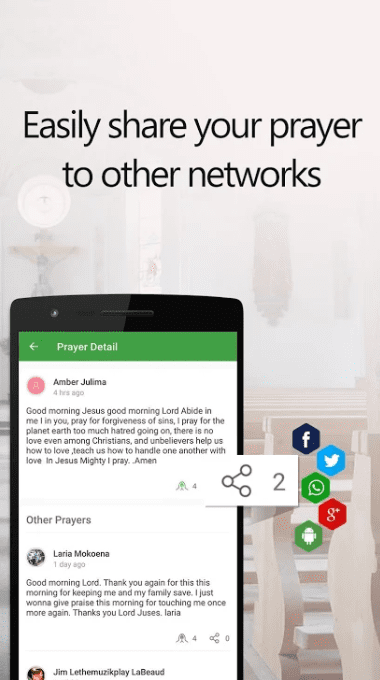 So, you are offered to try the Prayers & Blessings Daily application for Android. 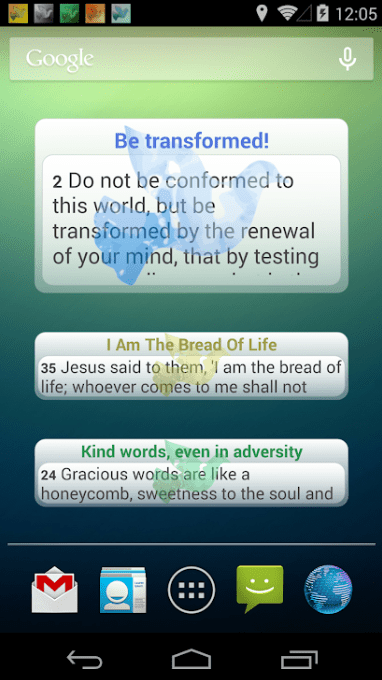 It often seems to us that it is difficult to combine our life and prayer. It’s a delusion. It happens because we have a false idea about life and prayer. We imagine that life consists of fussing, and praying is to go somewhere alone and forget everything. And this is not true. You can verify this using the Athan application. We do not know how to pray with concentration and deep, we do not know how to keep that deep peace of prayer in the soul that we gain in the temple, or which is sometimes given to us as an unexpected gift from God. We do not know how to get away from vanity into those depths where one can unintentionally think about God and where life ripens as an action worthy of God. 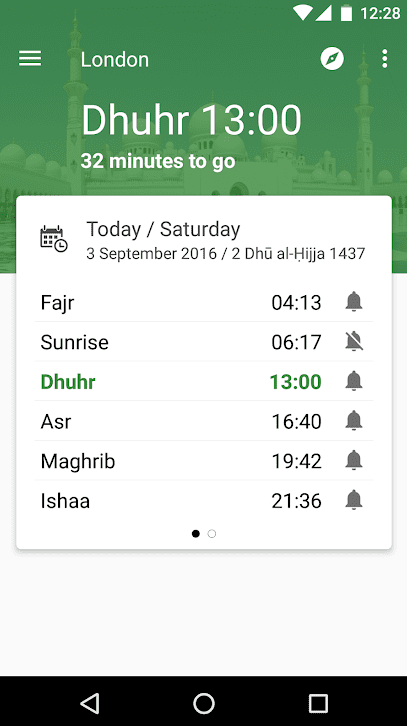 Muslim Pro is the most convenient prayer application for Muslims, which makes it easy to see the time of the next prayer today. 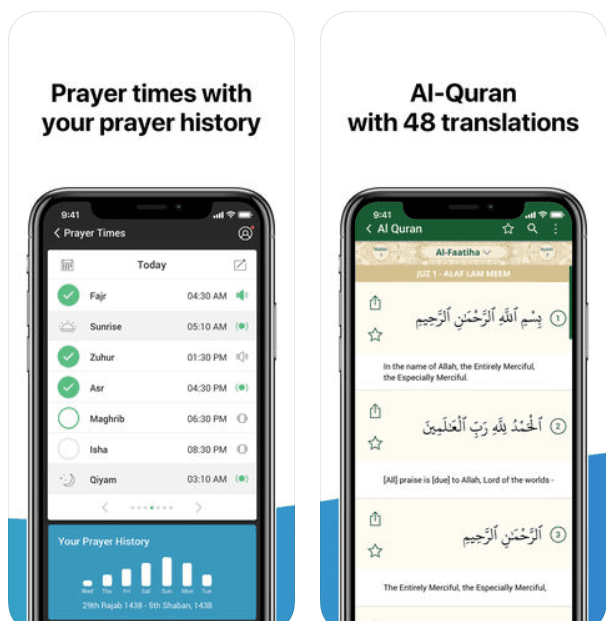 various maps and texts of the Quran can be downloaded into memory, so you do not need a permanent Internet connection to use the application. the location is determined not by an Internet connection, but thanks to GPS data. If you find that the application does not correctly detect your location, try to specify this data manually using the “Locate” function. 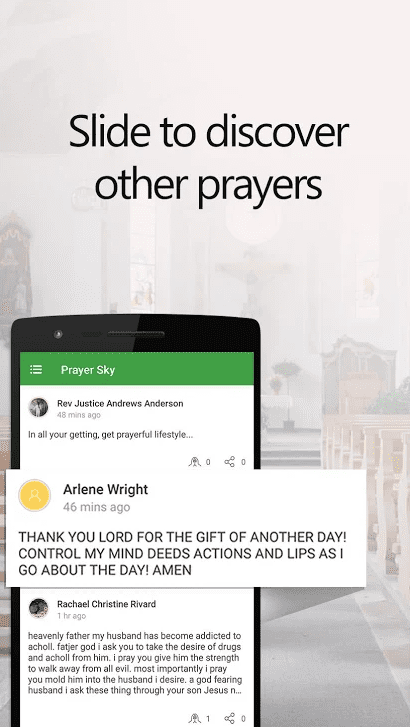 With such a convenient mobile assistant, you no longer have to worry about missed prayers. 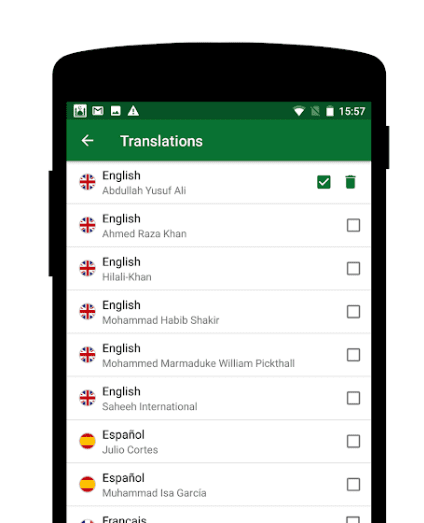 Become a part of a large community of Muslims who use the app to pray for each other. 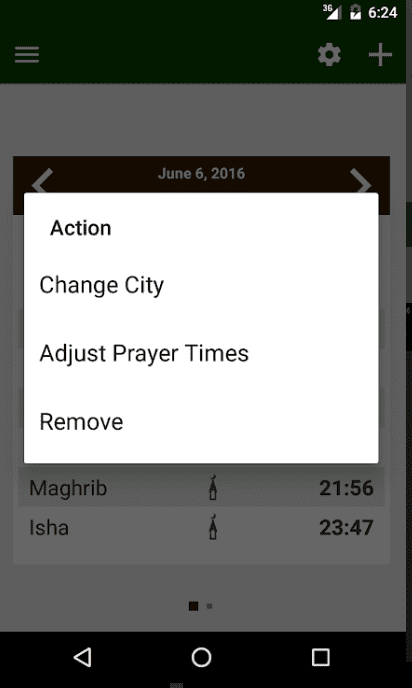 Prayer Times: Qibla and Azan is a convenient application for Muslims around the world. 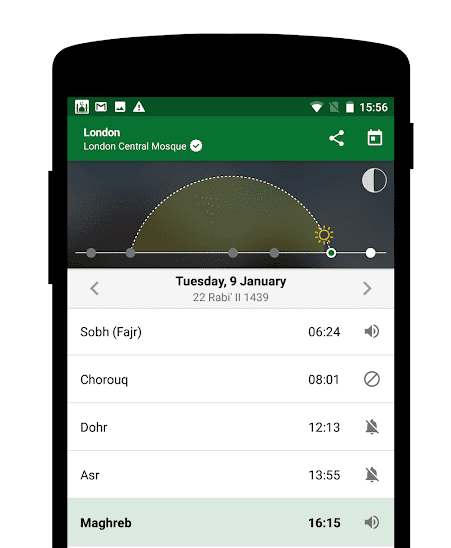 The program shows the time of prayers and direction of the Qibla from anywhere! adjust the direction to Mecca with the help of a compass and find out at what distance you are from Kibla. 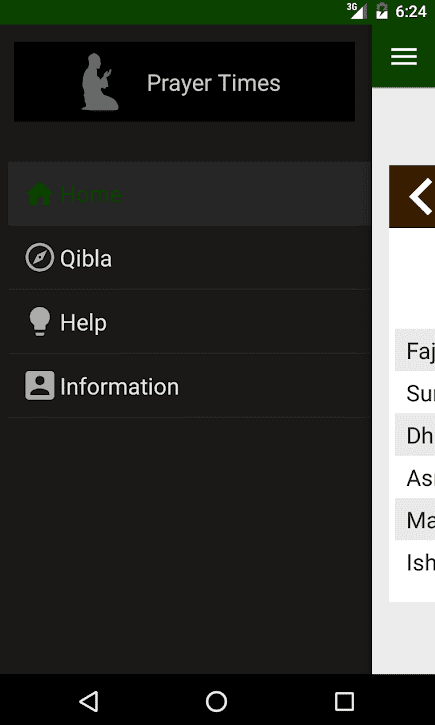 Prayer Times with Qibla is an application that will help Muslims not to miss a single daily prayer. 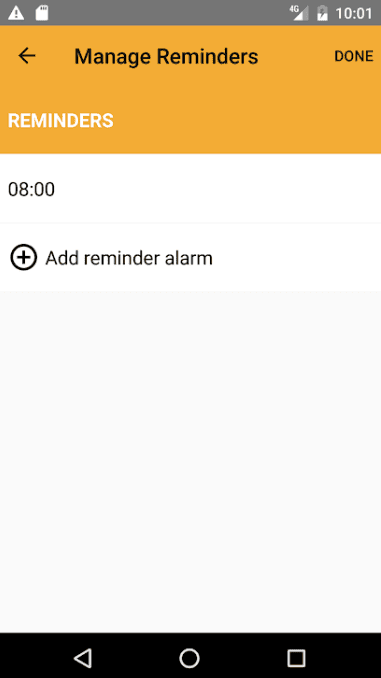 Using it, you can create a schedule using several methods of calculation. You can switch to another method at any time. 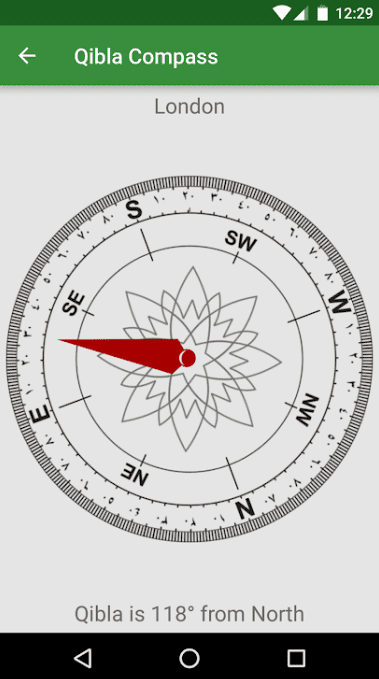 And of course, the compass is built into the program, the arrow of which always points to Mecca.